The third edition of The Oxford Companion to Classical Literature is the complete and authoritative reference guide to the classical world and its literary heritage. It not only presents the reader with all the essential facts about the authors, tales, and characters from ancient myth and literature, but it also places these details in the wider contexts of the history and society of the Greek and Roman worlds. With an extensive web of cross-references and a useful chronological table and location maps (all of which have been brought fully up to date), this volume traces the development of literary forms and the classical allusions which have become embedded in our Western culture. Extensively revised and updated since the second edition was published in 1989, the Companion acknowledges changes in the focus of scholarship over the last twenty years, through the incorporation of a far larger number of thematic entries such as medicine, friendship, science, freedom (concept of), and sexuality. These topical entries provide an excellent starting point to the exploration of their subjects in classical literature; after all, for many aspects of classical society the literature we have inherited is the primary (and sometimes the only) source material. Additions and changes have been made taking into account the advice of teachers and lecturers in Classics, ensuring that current educational needs are catered for. In addition to newly covered topics, the Companion still plays to its traditional strengths, with extensive biographies of classical literary figures from Aeschylus to Zeno; entries on a multitude of literary styles from biography and rhetoric to lyric poetry and epic, encompassing everything in between; and character entries and plot summaries for the major figures and myths in the classical canon. 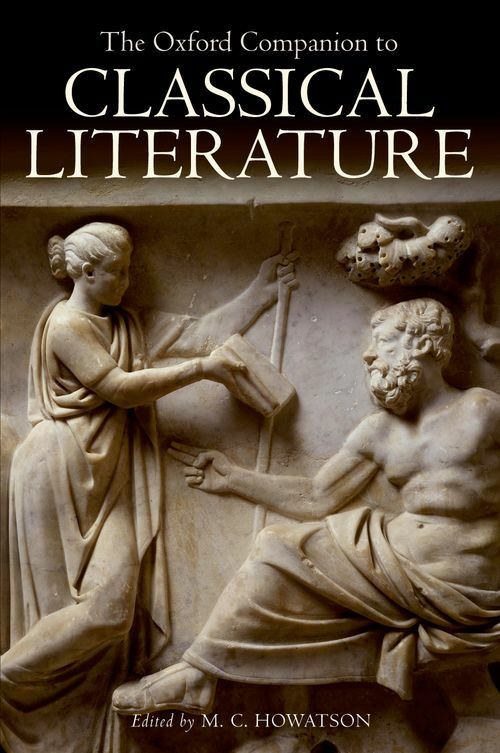 It is the ideal guide for students in Classics, and for all who are passionate about the vast and varied literary tradition bequeathed to us from the classical world. Margaret Howatson was for many years Fellow and Tutor in Classics at St Anne's College, Oxford. She is now retired.